By: Kenneth S. Jung, M.D. When it comes to sports-related orthopedic injuries, the feet don’t necessarily get as much media attention as, say, the knees. However, footwork plays a significant role in athletic performance, which is crucial for almost every sport. 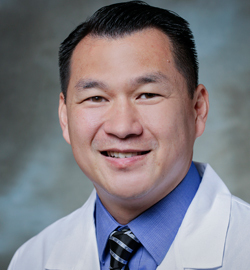 As an orthopaedic foot and ankle specialist with the Cedars-Sinai Kerlan-Jobe Institute in Los Angeles, CA, I have seen and treated foot and ankle injuries in athletes, ranging from recreational weekend warriors to professional athletes. No matter the level of play, being sidelined by a foot injury may affect an individual’s participation as well as activities of daily living. Recently, I had the opportunity to explain a lesser known (to the public, anyway) foot injury that was sustained by Philadelphia 76ers’ rookie Zhaire Smith – a Jones fracture. In this month’s blog, I’ll further explain precisely what this foot injury is, (how it got its name), what causes it, and how it is diagnosed. Most importantly, I’ll discuss how it’s treated, so that athletes of any level can get back to engaging in the sports they love as soon and as safely as possible. First, I think it is appropriate to give you a brief history and foot anatomy lesson to best understand a Jones fracture. The Jones fracture is named after the late British orthopaedic surgeon – Dr. Robert Jones – who in the early 1900’s reported the fracture after sustaining one upon landing wrong on the outside of his foot while dancing. As for the complex structure that is your foot, the long bones in the middle of the foot are called the metatarsal bones, and there are five of them. Each metatarsal bone is comprised of a base, shaft, neck, and head. A Jones fracture involves a fracture to the fifth metatarsal, which is the long bone located on the outer part of the foot. Fractures to the base of the fifth metatarsal are categorized into three zones. Jones fractures involve the second zone – the area that connects the base to the shaft of the fifth metatarsal. A Jones fracture is more complicated to treat because the blood supply to that portion of the bone is referred to as a “watershed” area. This zone of the metatarsal has reduced blood supply than the remainder of the bone. This fact is significant because reduced blood flow can increase healing time from injury. An analogy I use to describe the blood supply in a “watershed” area, is the portion of a lawn between two sprinklers. On this area of the lawn, the grass doesn’t grow as well as the other areas because it isn’t directly under a healthy supply of water – it falls in between. Likewise, if a section of bone falls in between, decreased blood supply may compromise bone healing by not providing the necessary building blocks and nutrients. Jones fractures are usually classified as acute injuries – an injury that is suddenly sustained – sometimes due to improper landing on the outside of the foot. Diagnosis is typically achieved with X-ray; however, MRI or CT scans may be utilized. And due to the blood supply issues, Jones fractures are notorious for delayed healing or the inability to heal. Surgical repair is typically recommended for athletes or individuals with physical demands. The goals of surgery are to stabilize the fracture and restore anatomy if alterations occurred. Repair or fixation of a Jones fracture involves utilizing hardware to stabilize the bone. This can be achieved by inserting a screw into the shaft of the bone or applying a plate with screws to the metatarsal. The hardware serves to stabilize the bone until healing occurs. Surgery does not decrease fracture healing time, but is associated with an increased level of rehabilitation activity. Additionally, it assists to reinforce the bone after the fracture has healed. This is especially essential in high-level athletes, who are expected to return to exerting high loads to the previously fractured bone. Other factors to consider when treating Jones fractures are the individual’s anatomy and overall health. High-arched individuals exert more load on the outer aspect of their foot and fifth metatarsal bone. Nutrition, lifestyle and hormonal factors also play a role in bone metabolism and healing. These factors must be addressed in order to promote fracture healing and bone health in the future. After surgery to repair a Jones fracture, a reduction in weight-bearing activities on the foot is required for proper healing. After that, some weight-bearing exercises are allowed in a removable walking boot – to protect the foot and prevent further injury while healing. Most people can expect a full return to active living three or four months. This includes a return to play for sports. Especially for athletes, clearance to play is given once the bone is fully healed. The reason for this is that research indicates that Jones fractures can have a higher incidence of refracture than other types of fracture, so your doctor will want to make sure that these risks are reduced by ensuring the injury is fully healed before returning to regular activities. As orthopaedic surgeons who specialize in sports medicine, we understand that three-to-fourth month recovery time frames can seem like lifetimes to athletes. We get it. But we have also seen, first-hand, what can happen when a patient “shortcuts” or otherwise circumvents an expert’s healing recommendations. Doing so can result in further delays in healing or re-injury. In the worst cases, shortcuts can be athletic-career-ending. If you’ve been told you have sustained a Jones fracture, be sure to follow your trusted orthopaedic surgeon’s recommendations. When it comes to your health, erring on the side of caution and allowing your body the time it deserves to heal are doctors’ orders.